Email marketing is absolutely a verified method of marketing tactics especially for B2B and B2C businesses. Since the internet has come into presence, it has become an important tool for any business marketing strategy. Email marketing helps your business succeed and works as a powerful tool for engaging, acquiring and retaining customers. Without a doubt, email marketing trends have been everywhere for decades and even then, it has considered one of the most effective digital marketing channels when done correctly. Email marketing continues to be an energetic communication network as the year of 2017 has proved that email received more than 30 times return on investment on average. 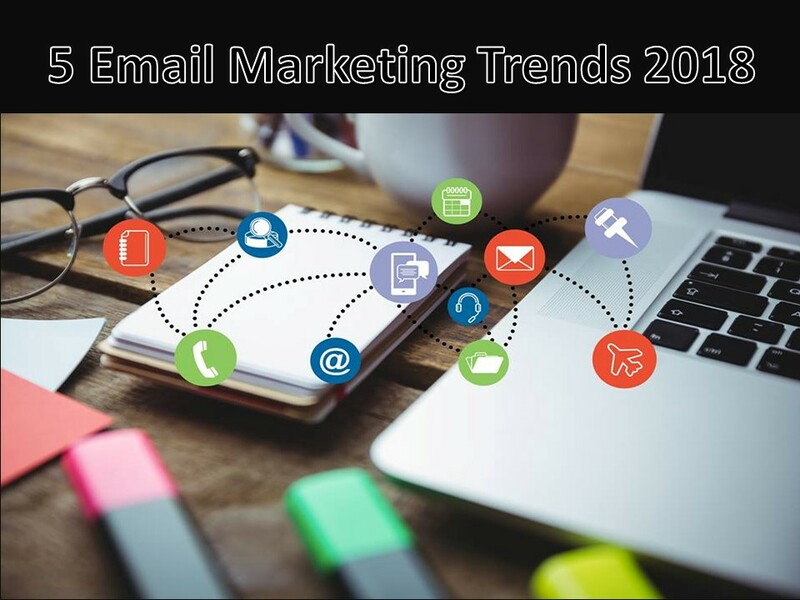 Staying tuned with the Latest Tech Trends of 2018 and best practices of email marketing helps you stay on top of it. So, let’s have a look at email marketing trends and strategy going to act in 2018. It has been noted that whenever you send an email, a broad number of your subscribers open your emails on their tablets or smartphones rather than turning on their laptops or desktops. Isn’t making it clear that smartphones are the future of email marketing? On the other hand, whenever you start building emails for smartphones, certain email marketing designs elements need to be taken care of. To be noted, your email design should be clear, precise and mobile friendly. A majority of marketers have been started realizing the importance of boosting email marketing for a smartphone. Currently, a wide number of marketing campaigns are now focusing to offer the best experience to mobile users. Undoubtedly, automated emails have become a vital part of effective marketing campaign. It not only helps you save your valuable time but your money too. Moreover, you can grab your audience exactly when they’re in need and when they’re most likely to convert. It enables you dynamically send relevant content to specific receivers. Marketers have now set up marketing automation services to send personalized emails to many customers using bulk email marketing services. It enables marketers to section email based on particular parameters set by them. In addition, an automated email lets you build your business with less hassle. It’s considered a perfect way to get improved your productivity as it allows you send out messages to your clients at right times to right inbox without unsettling you. Interactive email is an exquisite way to provide your audience everything they’re looking for, with minimal efforts for them. Interactive email doesn’t allow you to move out of the box pointing any separate page to view content, interact with video or to complete any surveys. To be honest, a majority of people like interacting on emails containing image galleries, banners, sliders, quizzes, and polls. Interactive content in the mail makes a big impact and this trend is going to continue in 2018. Embedding videos enable users to embed video in their email marketing contents. If you want to attract your customer’s attention towards what you’re offering, it’s a great tool then. Putting embedded videos in the emails ensure high engagement and improve the user experience. No one would like to miss this effective marketing strategy, right? It helps marketers in demonstrating their product features and service characteristics. Putting embedded videos in the email has developed an evolving email marketing trend that will definitely play a vital role in 2018. Writing a fancy email which is filled with banners, images and stunning email design templates with HTML has become an old method of email marketing techniques. Nowadays, the audience is only getting annoyed with these types of emails which are being used by well-known brands. Here’s where a plain-text comes into play. It’s more effective and interactive as compared to HTML emails. It not only increases perfect deliverability rates but also emails open rates, click-through-rates as well as engagement rates. If you create an HTML campaign, plain-text version automatically generates and sends to contacts who like to receive plain-text emails. In order to gain more credibility, you can create plain-text emails campaigns too. We’re very hopeful that you’ll start using mentioned above email marketing tips in your marketing efforts. We have done our best and stated latest email marketing key data, Technological trends, benchmarks and metrics which will help you realize the real power of email marketing. So, start using them right now and grow your businesses to the next level.